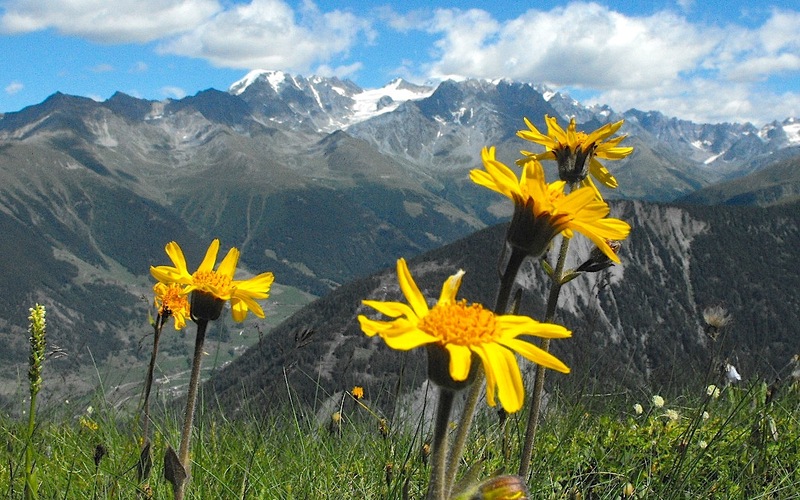 Arnica montana in the Swiss Alps – Arnica was discovered by mountain climbers. Back in March I ran a practical workshop at a North Wales Environmental Outdoor Charter event with an audience of outdoor instructors. The theme was to develop engagement with the environment and provide some activities to use with groups. I wondered how I could inspire those at the event and as the first few flowers of spring were emerging I decided I’d give everyone the chance to taste the spring! The wild Garlic (Ramsons) pesto was a big hit as were the Hawthorn ketchup, Elderberry cordial and Rowan jelly. This was so popular that I thought I’d share a few ideas with you for use this summer. With a wealth of wild food around us we can create a range of products, beneficial to our health, as a natural alternative to items found in the supermarket! Harvesting plants to make these is not only fun but is a great way of connecting with the natural world. The following account gives a starting point for your botanical explorations whether your interest is in identification, cooking, health or natural medicine. It is based on my own observations, culinary experiences and from researching herbalism and wild food recipes. This large, scruffy bush grows to about 10 metres and has lots of stems and shoots. Its twigs are brittle and have a spongy pith and its bark is cork-like. 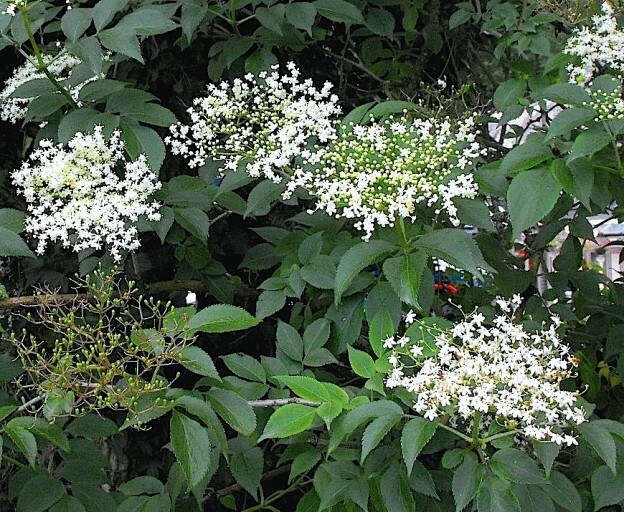 The cream-white flowers are bunched together and have a heavy scent. They have a host of uses and even used in the liqueur ‘Sambuca’. The berries have been used since Neolithic times and Ancient Egyptians used them in medicine. The pollen can be used to treat hayfever and allergic rhinitis whilst the flowers have a soothing effect and are used in some eye lotions (especially with Eyebright). An infusion made from the flowers is a stunning summer drink but a great way of tasting elderflower is in a basic cordial. Dissolve 1.5kg sugar in 1.7 litres of boiling water. Once cooled place 20 elderflower heads, 2 unwaxed, sliced lemons and 50g citric acid into the sugar solution, cover and leave at room temperature over-night. Then strain and pour into bottles. Either drink with friends or freeze to treat winter colds and flu! For an effective eye bath strain Elderflower tea and use lukewarm. Alternatively soak the tea in cotton wool and place onto the sore or painful area. To make a normal strength tea or infusion use roughly 10g per ½ litre of boiling water, strain and drink once or twice a day. For an eye bath simmer the above mixture for 10 minutes, strain and cool until lukewarm. Perhaps the best known of all flowers but equally the least respected. The solitary flower stands 5-15cm tall. Its white petals open as the day breaks revealing a domed yellow disc. This is what gives the Daisy its age-old name as the ‘day’s eye’. 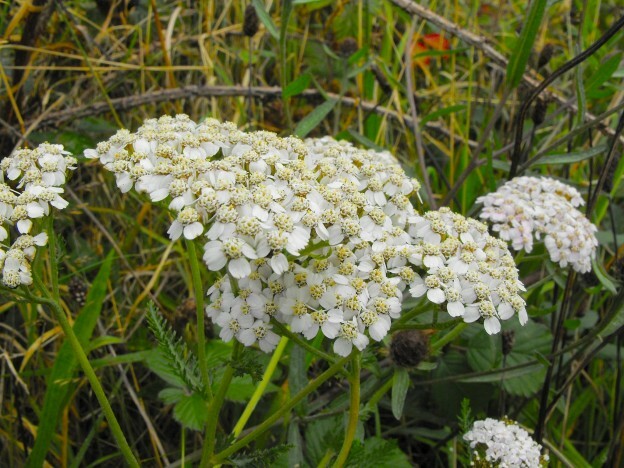 Its old name bruisewort is still apt and its ancient use was as a wound herb. Its use is similar to the much-used Arnica Montana which is found across central Europe but is less common than the Daisy. When walking or trekking in the Alps keep an eye out for the single orange-yellow flower on a long stem. 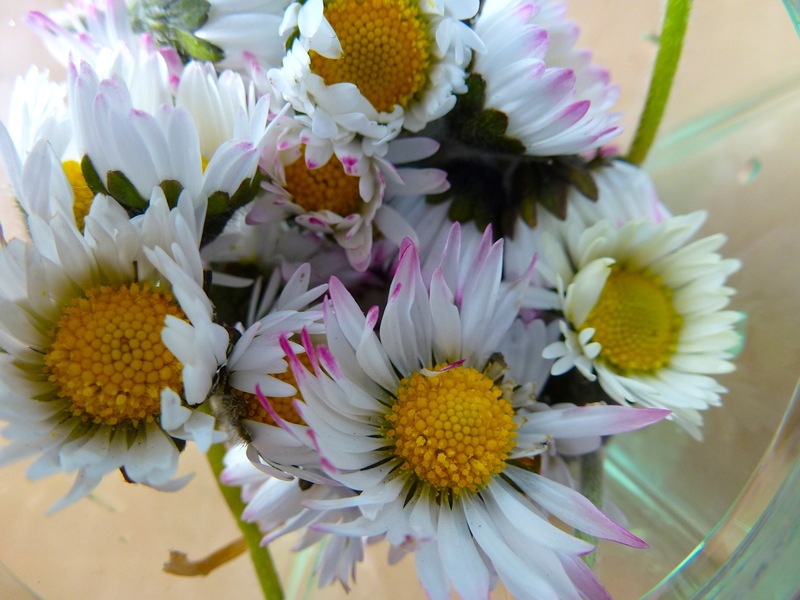 Daisy is an excellent first aid remedy for bruises, sprains, cuts, grazes and wounds. It is simple to use: bruise the flower in boiling water and apply directly to the skin. Alternatively boil the daisies for a few minutes, scoop them up and apply in a cloth to the affected area. Why now run a deep bath after a long day on the hill and add a few Daisy flowers to sooth aching muscles! A fairly common and well known shrubby plant found across the UK. It is a spiny blue green shrub 60cm – 2m tall with scented golden-yellow flowers reminiscent of coconut! The young shoots were eaten during the Irish famine as an emergency substitute food and the flowers have been indicated for ‘despair’! It is known to the herbalist Dr Edward Back as one of ‘The Four Helpers’. 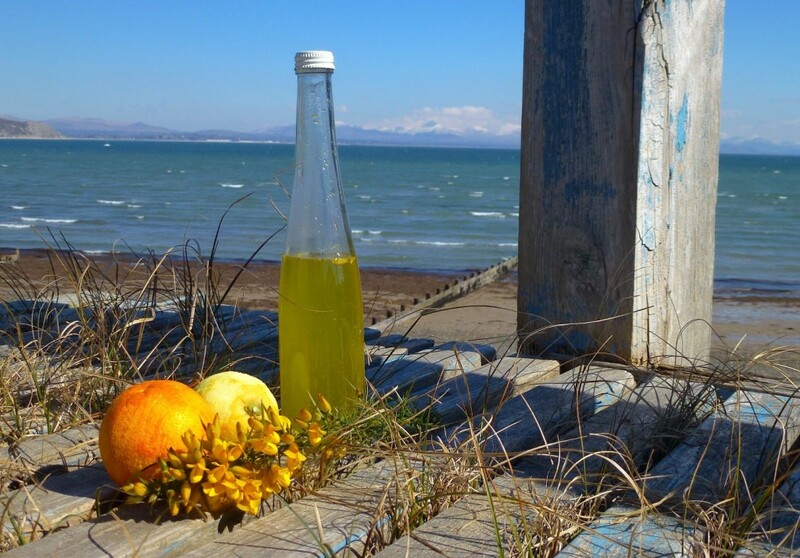 To make Gorse flower syrup take 4 handfuls of the fresh flowers and mix in the zest of 1 orange and 1 lemon. Boil ½ litre of water with 125g sugar and boil this hard for 7 minutes. Add the flowers and zest and let stand for 5 minutes off the heat. The yellow dye from the gorse flowers will give the fluid a great golden colour. Strain through a sieve and enjoy as a summer ‘spritzer’ with sparkling water. Alternatively freeze the mixture to use as a sorbet! Perhaps you would prefer to make a soap from the burnt ash after making a fire! The alkali ash can be mixed with clay and rolled into balls or added to water to make a paste. Either method provides an effective soap. 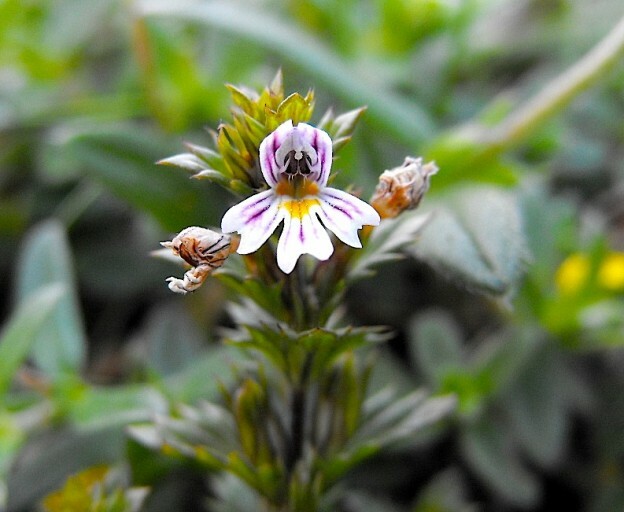 It is used as a treatment for the common cold, flu & fever, indigestion & diarrhoea, toothache and bleeding. It is also effective for relaxation, well-being and as an aphrodisiac particularly for women! Simply collect the leaves or flowers and make a tea with10g (2-3 fresh leaves) per ½ litre of boiling water and infuse for 4 minutes. Additionally add a slice of lemon and sweeten with sugar to taste. Yarrow can also be used as an addition to mixed salads as a substitute for Dill.